A report by the Prince’s Trust has highlighted that young people feel stressed and depressed by unemployment. Sixty percent of the 2,265 young people polled said that feeling anxious meant they were struggling to sleep; over half said their anxiety prevented them asking for help, and 41% said their anxiety had prevented them from leaving the house. Martina Milburn, chief executive of the Prince's Trust, said; "Thousands of young people feel like prisoners in their own homes. Without the right support, these young people become socially isolated - struggling with day-to-day life and slipping further and further from the jobs market." Young people are most at risk because quite often they come out of and educational or training environment and find themselves unprepared or unable to secure a job, an educational environment provides structure to a day, the opportunity to exercise the brain and socialise with others, adjusting from this to unemployment is very difficult. The study found that almost half of young people ‘always’ or ‘often’ feel down or depressed due to their unemployed status; 36% find it difficult to look after themselves, and 38% don’t eat properly due to anxiety. The study also highlighted that 56 percent of young people reported an absence of help in overcoming emotional stress and joblessness. Sadly this is not a problem exclusive to the UK, across the globe young people are struggling for employment. A report by Solutions for Youth Employment found that one billion young people (aged 15-29) will look for jobs over the next 10 years; only 40% of them will secure work if the global economy remains as it is. Here at Meee we think that it’s horrific that the biggest killer of young people in the UK is suicide and we shouldn’t be putting young people at even greater risk. 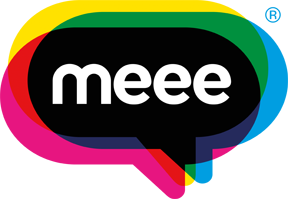 The Meee programme can run in schools, businesses and youth clubs to help realise skills and build confidence. "Formal education will make you a living; self-education will make you a fortune"